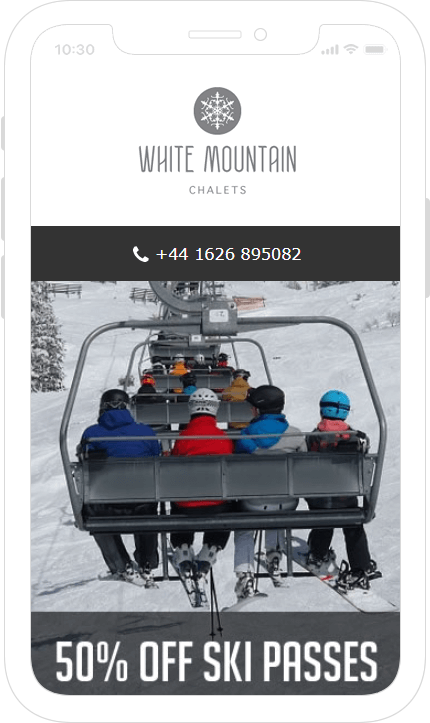 White Mountain Chalets provides luxury ski chalet holidays in St Martin de Belleville, the most authentic and charming Savoyarde village in the 3 Valleys skiing area of the French Alps. 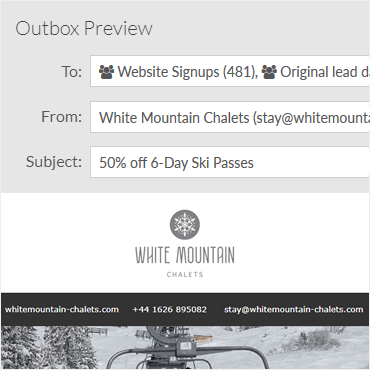 White Mountain Chalets knew they wanted to improve their email marketing but they weren’t sure what was wrong or how to go about making improvements. Their business was growing and available time to look at planning email campaigns was limited. A typical email campaign consisted of feeling under pressure to send an email every few weeks and writing content at the last minute in order to meet a deadline. NewZapp was brought in to develop a solid email marketing strategy that would enable email campaigns to deliver on the needs of the business rather than be a tick box marketing exercise. 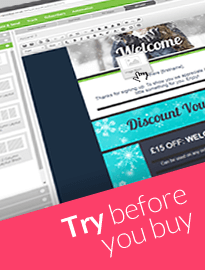 When we first approached NewZapp about email strategy we were nervous about making a commitment, not least because of the extra costs we would incur. Looking back now I wish we’d put in a place an email strategy a lot sooner because the results have been incredible. 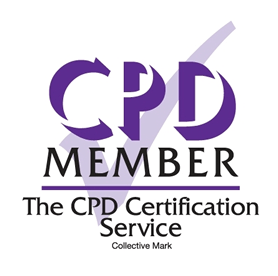 NewZapp have worked with us at every stage and we feel totally in control of our emails now and we can see directly the impact they are having on our bookings. We sat down with White Mountain Chalets owner Ruth and discussed what the business wanted to achieve over the next 12 months. We got an understanding for where the business was at currently and what their overall marketing strategy was. Their business is a seasonal one, luxury ski chalets in the beautiful French Alps. The demand and interest peaks around January time and typically there is a rush of bookings in the 2 months before this. Ruth wanted to see this spread out across the year to bring in more bookings earlier. 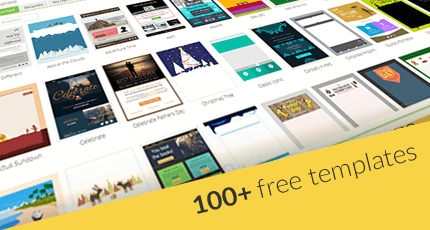 Email was seen as the perfect way to communicate with subscribers. We put together a content calendar that fitted with the seasonality of the skiing industry and piggyback some emails on key dates and events in the run up to the season such as announcements by airlines of their winter schedule, offers from ski hire companies, first snow, long range forecasts, new chalets, revamping of interiors etc. We then used this to create a solid strategy of the timing and frequency of campaigns over the next 12 months. This meant White Mountain Chalets knew what was going out well in advance and we could write high quality copy, pair this with fantastic relevant imagery and lead subscribers on a journey all the way up to the opening day of the season. We planned for when special offers might be needed so that they were ready to fire out quickly. Working with NewZapp over the last 3 years, our digital marketing has become a central part our overall business strategy. As a result we have seen a dramatic increase across all our digital channels and an equally dramatic increase in bookings. With a solid plan and timely execution, the website saw a large increase in traffic coming from email campaigns. A steady build-up of email frequency throughout the slow summer months and heading into Autumn meant that by November bookings were 50% up on the same time the previous year and directly tracked engagement from email was up by over 100%. 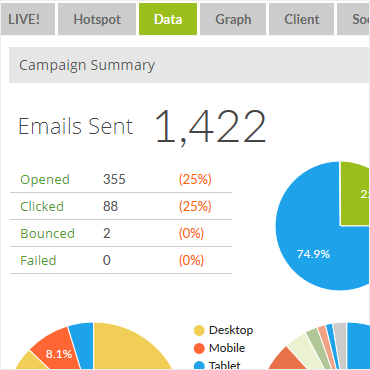 Having a strategy ensured that email campaigns were focused and always on message.